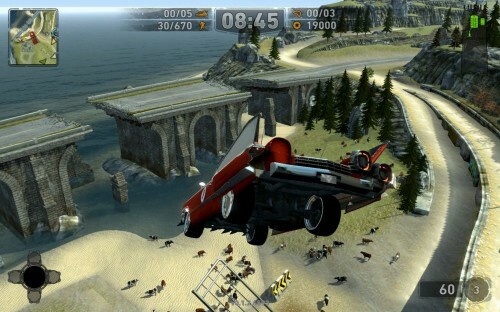 Игра Carmageddon: Reincarnation - Это бета Carmageddon: Reincarnation - реинкарнация культовой игры Кармагеддон с отличной графикой и естественно с новыми возможностями! Как и в оригинальной игре, главное — победить в гонке! Уничтожай своих соперников, сбивай зазевавшихся пешеходов, апгрейди свои машины! - No new routes Powerups have been rejigged. - New and improved! Now with more girth! Today we have a new Hot Fix available which fixes some issues introduced in our last update. The new Hot Fix is available now (Pre-Alpha v0.3.0.5644). This will be automatically applied to your game the next time you run the Steam client. But if your game is not being updated, please log out of Steam and back in and it should then start the update. Grasp your controllers firmly Carmafans! 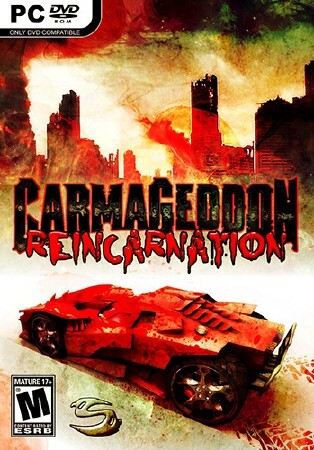 In our efforts to pleasure you regularly with gaming goodness and gore, we bring you ANOTHER exciting Update to our Steam Early Access release of Carmageddon: Reincarnation. We have updated content and also present BRAND SPANKING NEW STUFF to ogle over, drive or destroy….and it's all OUT NOW! • COMPLETE The Plow INCLUDING driver Don Dumpster! 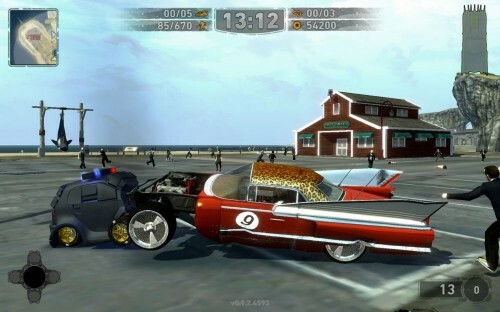 • NEW Wheelspin control; demanded by Carmafans, implemented by us …because we love ya!! • More PowerUps – Discover the hilarious NEW ‘Opponent Ejaculator’ and ‘Opponent Bodywork Vac’ powerups, and revel in the return of some old favourites. • Optimisation work on our engine and rendering tech also continues, and you should experience further improvements to the performance of the game on medium spec PCs. See the specs details on the Steam Store page for more information regarding tech requirements. We’ve also fixed lots of bugs, however, please remember we’re still in Early Access, and so the oft-repeated caveats concerning game performance and BUGS still apply!